A natural substance was accidentally discovered from a plant in Africa to have rapid positive effects on heart conditions in the mid-19th Century. Eventually, it became part of mainstream heart medicine in Germany, but administered only by IV under clinical supervision. 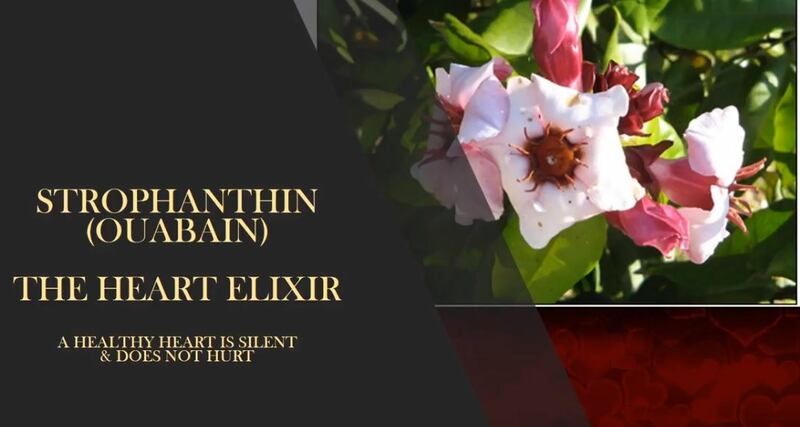 This natural heart attack remedy and preventative is currently known as ouabain (wah-bay-in) also known as strophanthin (stroe-fan-thin), which was initially extracted from the African tree Acokanthera ouabaio, leading to the English name version ouabain. Currently, there are many German doctors prescribing ouabain or G-strophanthin, and they want to keep it that way even though it’s natural and can’t be patented as a pharmaceutical drug, which is another reason that little is known of it outside of Germany. Dr. Thomas Cowan, MD, debunks the current official explanation of heart disease by analyzing the inconsistencies and paradoxes of actual heart attack cases compared to the accepted arterial clogging explanation. Dr. Cowan is a holistic MD practicing in San Francisco, California. He states by having his heart patients on ouabain he has not lost any of them to heart attacks. His new understanding of heart disease and subsequent successful use of ouabain is attributed to the German doctor Knut Sroka, MD, who calls ouabain “an outstanding plant drug ignored by academic medicine”. I cannot thank you enough for this information! I watched the video and read the article and have ordered ouabain. I think this is an answered prayer. This is good and valuable information. Too bad it isn't more readily available. I read recently that hot peppers (the hotter the better) work to stop heart attacks. The posting said that 1 tsp ground pepper mixed in 8 oz of water and drunk stops heart attacks. This was from comments in an article about using sugar for wounds. The comment started by saying that hot peppers sprinkled on a wound stops bleeding and then added the heart benefits of hot peppers. If hot peppers work as well as this herb then the cost and easy availability.